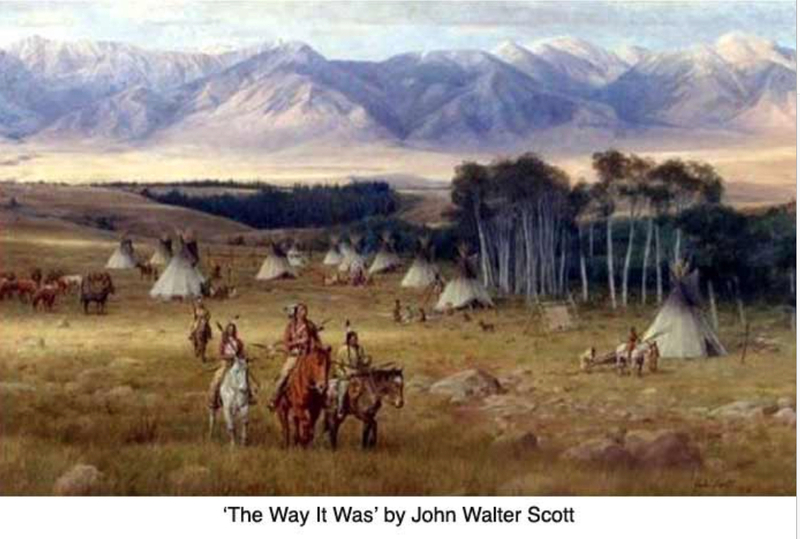 John Walter Scott Jr. had a varied and successful career as an illustrator and an artist whose works were enjoyed by millions of people, most of whom did not know his name. 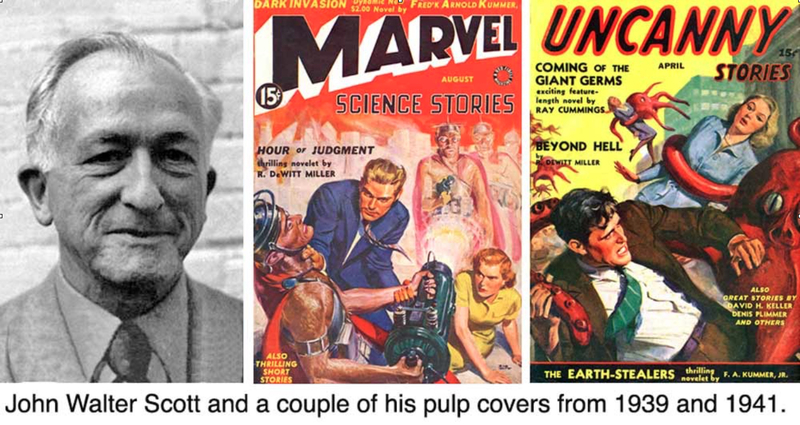 Born in 1907 in New Jersey, Scott was attending art school at the age of 16, and by the time he was in his 20s, was freelancing covers for some of the leading pulp fiction magazines of the 1930s, including All Star Fiction, Best Western, Detective Short Stories, Future Fiction, Marvel Science Stories, Mystery Tales, Quick-Trigger Western, Real Sports, Two-Gun Western, Uncanny Tales, and Western Novel and Short Stories. By the late 1930s, he was moving to slick magazines like Coronet, Woman’s Day and This Week, doing covers and story illustrations. During the war, he joined the staff of Yank, an Army magazine covering events on the European battle front. 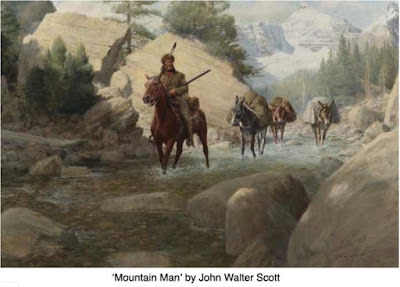 His war drawings are now part of the Army’s historical archives. for large-scale murals in major buildings; some of his best-known were for the Mormon temples at Salt Lake City and Washington, D.C.
Mr. Scott died in 1987 at the age of 79. He was married to Flavia “Punky” Scott, also an artist, who died in 2011; her father was prolific magazine artist, Frank Bensing. 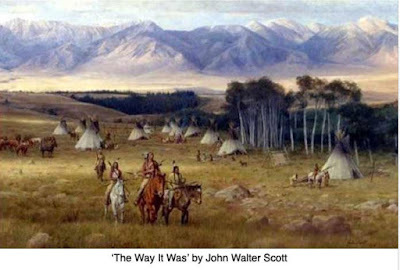 The Scotts, who came here in 1948, owned an 1860s house on North Salem Road that is now on the National Register of Historic Places; it was once the home of early circus manager Lewis June.